With April flowers come… lots and lots of DC tourists. They know that Washington is one of the best places to be this time of year, and not just for cherry blossoms. But, it turns out, the best events are mostly for us locals. 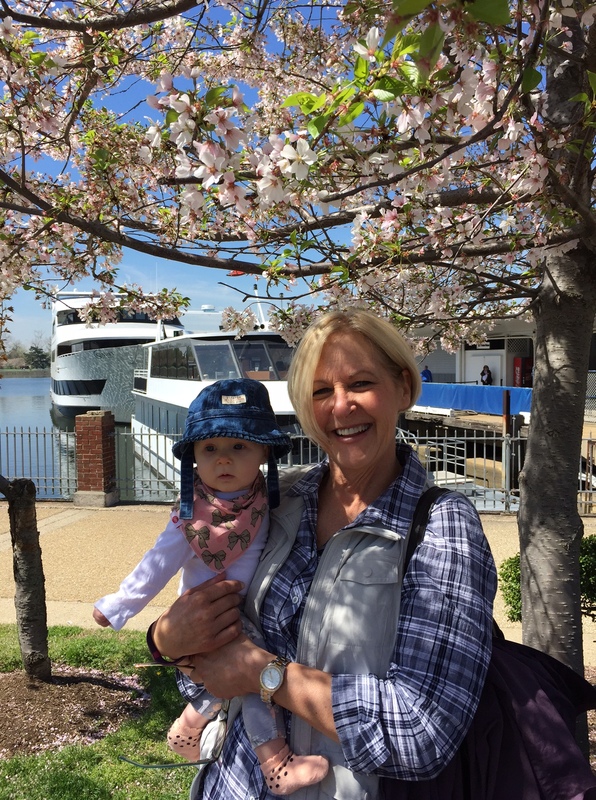 There are cherry blossom donuts to be eaten, cherry blossom cocktails to be imbibed and even cherry blossom cruises on which you can see the Potomac River in all its pink-rimmed glory — and some ladies with an AARP group do the Cuban Shuffle. Seriously, it was awesome (and so was the weather!). If you haven’t scurried over to the Tidal Basin to take in the blooms, do it soon. There are beginning to be more on the ground than in the trees. It’s fun to look back at photos from previous cherry blossom fests (thank you Facebook’s new “one year ago” reminders) when we were celebrating a new puppy or a new baby bump. You can finally try Georgian food in DC — for one night only (for now). The lovely ladies who hosted the Georgian supper club I wrote about for The Washington Post last month are hosting an even bigger supra pop-up at Mess Hall next Friday, April 24. Tickets are a steal at $65 (minus $10 for first time Bookalocal customers) and you can choose an option that adds unique Georgian wines to the spread. 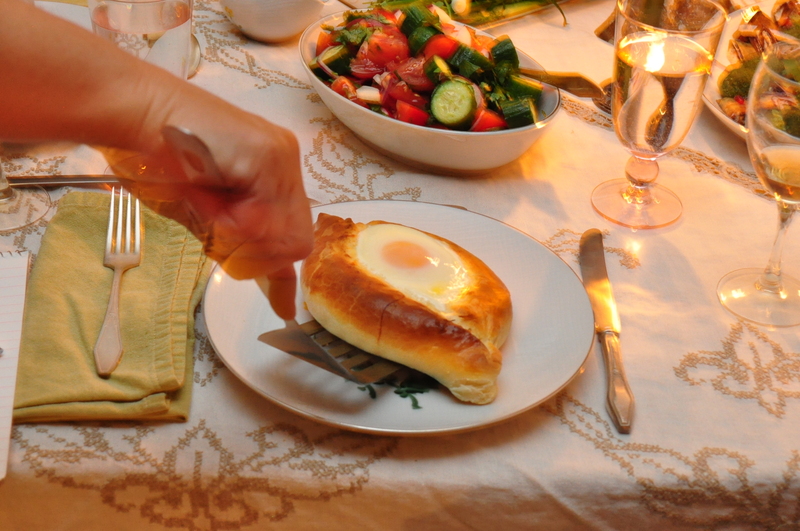 Khachapuri people. Tickets are limited and you can buy them here. While we wait for the first Georgian restaurant to open in the District (I predict soon! ), this is the only place to get most of these foods. The Capital Area Food Bank’s annual Blue Jeans Ball is coming up Sunday, April 26 — and guess who they somehow convinced to walk down the runway? Yours truly. I’m honored to be hopefully-not-embarrassing-myself for such a great cause. Proceeds from the evening support the food bank, which is the supplier behind so many hunger-fighting partnerships in the nation’s capital. I had the pleasure of writing about their unique demonstration garden last year. You can learn more about the Ball here. 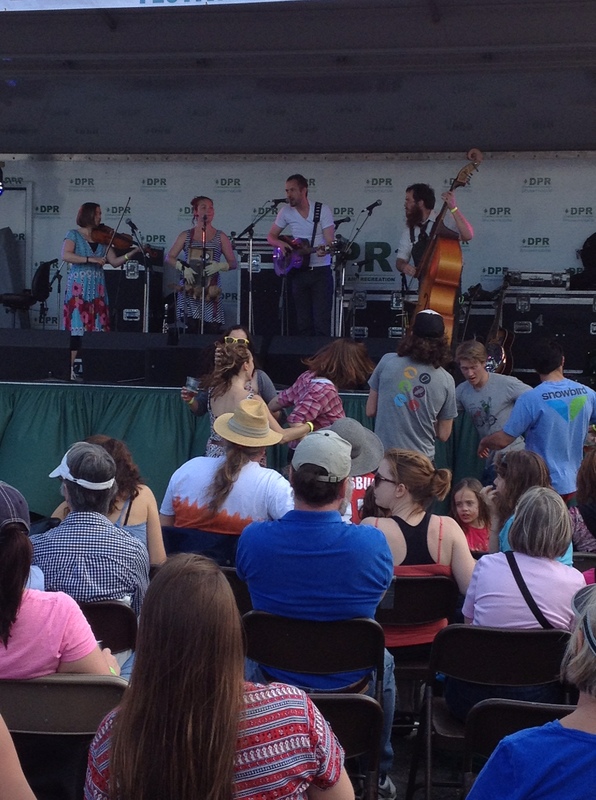 This is one of my favorite outdoor events all year and an incredible chance to hear Bluegrass music along the Anacostia River. Here’s a story I wrote about it last year with some general details about the event and the city’s forgotten river. This year’s festival starts at 1 p.m. on Saturday, April 25 and lasts until sundown. My recommendations: Buy tickets online. Get there early for parking (or bike parking) and a spot. This event sells out. Bring friends; there’s plenty of time to chat on a picnic blanket in the sun. And bring those blankets or chairs, too. We even brought a picnic basket of food last year, but beers are available on the premises. You can learn more and buy tickets here. Through the rest of the month, Screwtop Wine Bar in Arlington is featuring #greensips of wines that are made with organic, biodynamic or sustainable practices in honor of next week’s Earth Day. I had the chance to try some of these and they’re fantastic — and come with fascinating stories. This Saturday, April 18, wine instructor Amanda Page is hosting a class on these wines (Click here for tickets), and she really knows her stuff. After getting a primer on these wines this week, I learned that I don’t actually hate all Cabernet Franc, that biodynamic is basically whole-ecosystem farming for vineyards (think birds of prey instead of pesticides) and that Elk Cove Rose from Oregon’s Willamette Valley is seriously good (and in my glass now). You can taste, buy and eat excellent food alongside these wines at Screwtop all month, and I highly recommend the class. Learn more here. So that should help fill your calendar for the rest of the month! I will be at (or have been to) all these events, so let me know if I’ll see you there! ← Glorious lamb — what’s on your Easter table?